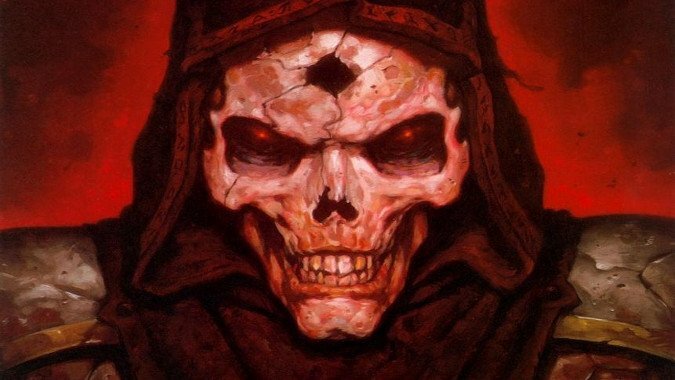 Last week we covered Diablo’s origin, his part in the Eternal Conflict, how he helped mastermind the Dark Exile, and finally ended up trapped under what would become Tristram Cathedral. As eventful as all that was, it was merely the prologue. The true malevolence of the Lord of Terror would be made manifest in how he manipulated the royal line of Khanduras, driving King Leoric mad, possessing his youngest son, and manipulating his eldest into sacrificing himself in a noble but doomed gesture. 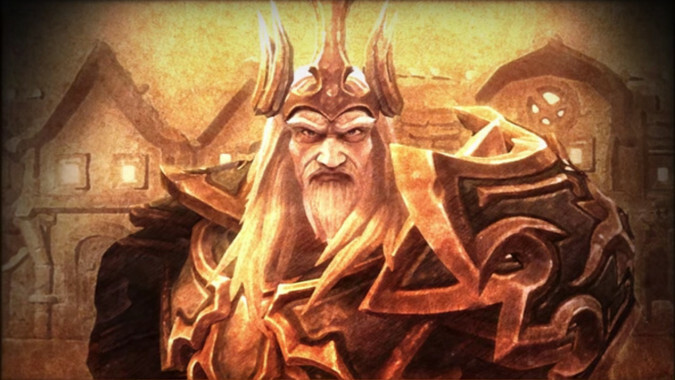 Aiden, son of Leoric, rightful King of Khanduras would die far from home, an instrument (less even than a pawn) in Diablo’s scheme to destroy the Worldstone. Yet even that plan was merely part of a nesting series of stratagems, and Aiden would enable an even darker plan to come to fruition. For the Lord of Terror knows what others fear and uses their fears to carve his will into the world. Only through the resolute bravery of an unlikely hero with the power of the ancient Nephalem would Diablo ultimately be balked — and even then, the Lord of Terror’s defeat proved ephemeral. Thanks to the actions of Malthael, the self-proclaimed Angel of Death, the Lord of Terror is once again free to scheme unhindered. Come, sit a while and listen. Bear witness to the treachery within treachery of the Lord of Terror. After the Horadrim defeated and imprisoned Diablo, Tyrael warned them that the site of his Soulstone must be forever guarded lest the demon escape. The Horadrim therefore built a monastery atop the site, and in time a sleepy town named Tristram grew up in its shadow. For centuries the Lord of Terror lay sleeping in his prison. A few centuries later, men of the Zakarum faith came to Khanduras, then a relatively backward nation. Among these men were Lazarus — an Archbishop of the Zakarum and one of those entrusted with the secret of watching the prison of Mephisto in Kurast — and Leoric — a Kehjistani noble who upon arriving in Khanduras declared himself King. The people of Khanduras didn’t really know what to make of this foreign adventurer who declared himself their monarch, but his Order of Light was a large, well-trained military loyal to their chosen King and the Zakarum faith. Leoric met minimal resistance at best as he made his way across the nation to the site of Tristram. Here, in this sleepy town, Lazarus foresaw the foundation of a great and prosperous reign for Leoric and his house — or so he claimed. However, Lazarus (like much of Zakarum’s leadership in Kurast) has been corrupted by the long-imprisoned Mephisto, who was behind Lazarus’s true mission in Khanduras. Lazarus aimed to find the resting place of Diablo and free the Lord of Terror, who (unlike Mephisto) didn’t have the seat of power of an entire nation built over his head. In a fit irony, Lazarus chose to achieve Diablo’s freedom by building Leoric’s seat of power over his head. It was an inspired choice. The demon lord called Lazarus to him and completed the process Mephisto had begun, dragging the Archbishop bodily into the catacombs where the Soulstone lay via the terror of his own nightmares. Having nearly broken the man in fright, Diablo used Lazarus to utter the blasphemous words that allowed him to shatter the Soulstone itself. Thus Diablo was free, and Lazarus’ insane mind meant he easily became Diablo’s apostle. Soon, the Lord of Terror sought a host body, one of sufficient spiritual strength to endure the rigors of possession: the best choice was Leoric himself. Strong in his Zakarum faith, Leoric resisted the Lord of Terror, and turned to the Archbishop he trusted, the Archbishop who led him to Tristram in the first place, and Lazarus was all too glad to confirm Leoric’s suspicions. An outside force was working against him. He was being plotted again. He had a powerful enemy somewhere within his own bastion. As Leoric gave in to these paranoid obsessions, Lazarus subtly goaded him to declare war on neighboring Westmarch. This allowed him to get rid of those members of the Order of Light who would have suspected Lazarus’ role in Leoric’s sudden cruelty and capriciousness, and it kept those Zakarumites in Westmarch (far from Kurast and Mephisto’s machinations) from detecting the truth. With most of the army off waging war on Westmarch, the people of Tristram soon witnessed Leoric’s degeneration. Although an outsider when he’d arrived to declare himself King, many in the land had been impressed by his honor and piety — but that man was gone thanks to Lazarus and his master. Leoric’s paranoia grew until he came to suspect his own wife Asylla of treachery. She died for the imagined sins Lazarus put in Leoric’s mind. However, even as far gone as he was, part of Leoric would not surrender to Diablo. The Lord of Terror had even orchestrated Asylla’s ‘betrayal’ to break Leoric once and for all, but the King would not release control of his soul to the Lord of Terror. Mad he was, madder he might become, but there was a piece of him inviolate in its resolve that would not break. So Diablo had Lazarus bring him the King’s youngest son Albrecht. This was the final straw that shattered Leoric’s last bit of restraint. The King had villagers from Tristram brought to him and executed for their imagined part in the conspiracy to abduct his son. At this time, members of the Order of Light and other soldiers began returning from the war against Westmarch — the larger, older nation had easily defeated its one-time ally and scattered its armies. It was to a raving mad King that Lachdanan, his lieutenant, returned with news of Khanduras’ defeat. When the King accused Lachdanan of the kidnapping — a crime he could not possibly have committed — a sorrowful knight found himself matched against his sovereign, and took Leoric’s life. By then, Diablo had a host body, the terrified young Prince Albrecht. The child had been kidnapped by Lazarus and dragged into the catacombs, and Diablo fared much better with a child who had lost his mother at his father’s hands — who’d already grown accustomed to being afraid. Diablo broke him with primordial terror and wore his flesh as vestments, in time altering the young prince bodily to match his own demonic form. Demons born from Diablo’s essence spread forth into Tristram, which no longer had a King nor an army to defend it. As the Prime Evil grew stronger and his minions ranged wider nightly, the people of Tristram knew they would soon all die and their fear grew. Diablo glutted on this fear, savored it, and waited till he was powerful enough to walk the night bodily to destroy them. In his youth, Aidan had grown up in Kurast in his father’s court. He’d had no inkling that he would one day be styled a Prince of Khanduras, but when his father declared himself so Aidan dutifully followed his father’s will and came west to Tristram along with his mother Asylla and his brother Albrecht. When Leoric declared war on Westmarch, Aidan dutifully took up his sword and went to war even though he had grave misgivings. His old tutor Deckard Cain fostered those doubts, warning Aidan that there were dark times on the horizon. After the defeat of Khanduras by Westmarch, Aidan returned home to Tristram. It was not as he’d left it. His parents were dead, his brother missing, and the land haunted by monsters and mayhem. 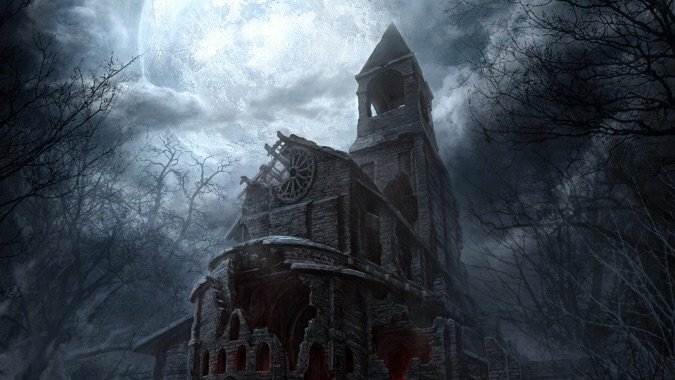 Dark riders had sacked the town, and blasphemous rites were being performed in the old church. Aidan saw no other option than to take up arms against this nightmare, find his brother, and destroy the evil haunting Khanduras and Tristram Cathedral. Cain provided him with assistance, guidance, and even told him of others who would join him in defeating the menace in the Cathedral, a rogue and a sorcerer. Aidan proved to be as tenacious and strong willed as his father had been in his battle with Diablo, destorying Leoric’s reanimated corpse — now a Skeleton King, serving Diablo in death as he had refused in life — and striking down Lazarus himself before reaching the Lord of Terror. As they confronted Diablo in his sanctum Aidan still believed that Albrecht could be saved from the nightmare the demon had created. 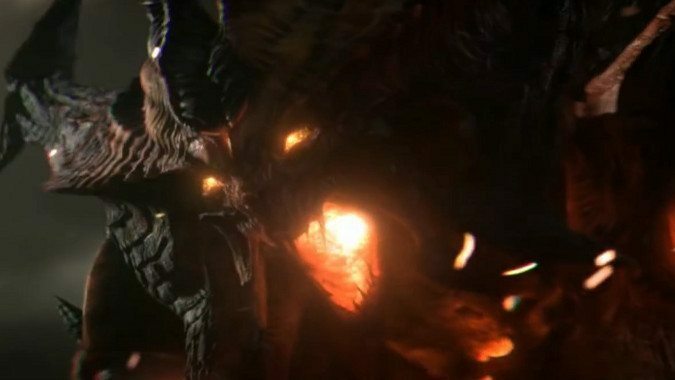 So when Aidan struck the final blow, it was not the horrific form of Diablo that lay dead before him, but rather the body of his younger brother… well, who is to say what Aidan made of that? Did he go mad? When his hand clasped the broken Soulstone, when he made his awful decision, what were his thoughts? Were they his at all? In the end, the three heroes that confronted Diablo in Tristram Cathedral’s catacombs were changed forever by what they saw. Next time, we finish this look at Diablo’s plan for Sanctuary with the events of Diablo 2 and 3.